Firle Place has been the home of the Gage family for over 500 years. The Medieval core was extended by 1543 by Sir John Gage KG (1479-1556), trusted counsellor of Henry VIII, built of Caen stone and re-modelled in the eighteenth century to provide its Georgian façade, and remarkable architectural features such as its rare Serlian window. The celebrated works of art now housed at Firle reflect the taste of successive generations of collectors and familial relationships, significant additions arriving in the mid-1950s from the Cowper collection at Panshanger House, Hertfordshire and the Grenfell collection from Taplow Court, Berkshire. Among the collections associated with Firle is a significant archive of muniments and manorial rolls deposited at the Keep, made the more remarkable by elements of the Estate having been in the hands of one family for over half a millennium. The records of the manor of Alciston, with only two owners – the Benedictine monks of Battle Abbey and the Gage family – since 1066, are merely the outstanding of many examples. The manor of Alciston had been given as a reward to Sir John Gage by Henry VIII at the time of the dissolution of the monasteries. Firle houses many treasures of national significance such as the exemplary group portrait of Count John of Nassau and his family by van Dyck, hanging in the Great Hall. The ‘Panshanger Cabinets’ in the Upstairs Drawing Room, ranking among the few named pieces of Chippendale furniture and veneered in holly wood, were originally commissioned by the 1st Viscount Melbourne for Melbourne House in Piccadilly. Or, the rare Sèvres ‘Firle Vases’ with Chinoiserie panel, another pair of vases with the same decoration, apparently from the same garniture, are now at the Rijksmusum. 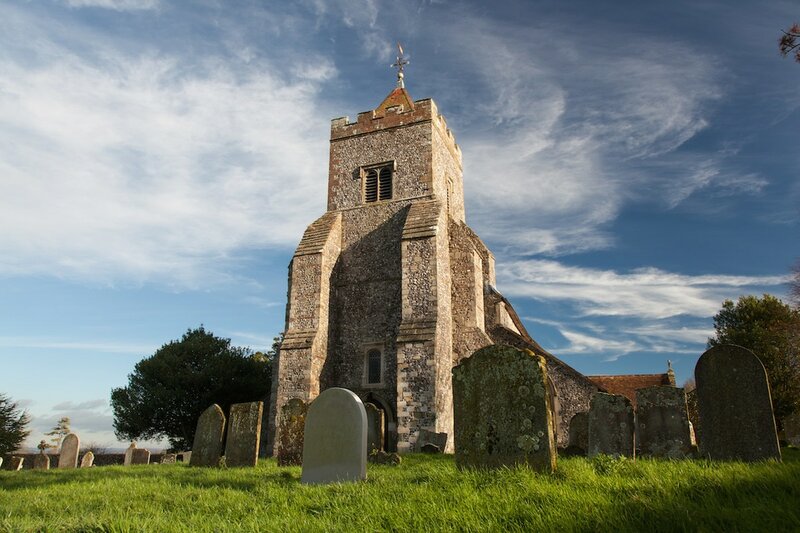 This beautiful church originally dates from the 12th Century, but much of what can be seen today was rebuilt during the 13th, 15th, 16th and early 19th Centuries. Considered by many to include some of the most notable flintwork in South East England, the Church contains many architectural features and artefacts. As well as notable brasses, there are several Gage monuments believed to have been commissioned by Sir John Gage in 1595 (including his own alabaster monument in the chapel). The Gage Chapel, itself, was introduced in the 16th Century at the same time as the re-modelling of the tower. Many new windows were introduced in the Victorian era and later, perhaps the most notable being a depiction of The Tree of Life by John Piper, commissioned in 1985. The author, Virginia Woolf lived in Firle for a short period. 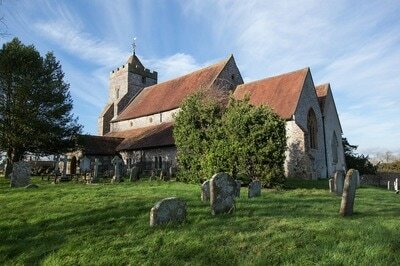 Her sister - painter Vanessa Bell - Vanessa’s son Quentin Bell and artist Duncan Grant are all buried in the churchyard.